One way that GoodWeave differentiates itself is with its inspections staff. They have deep experience and are rooted in the communities in which they work. 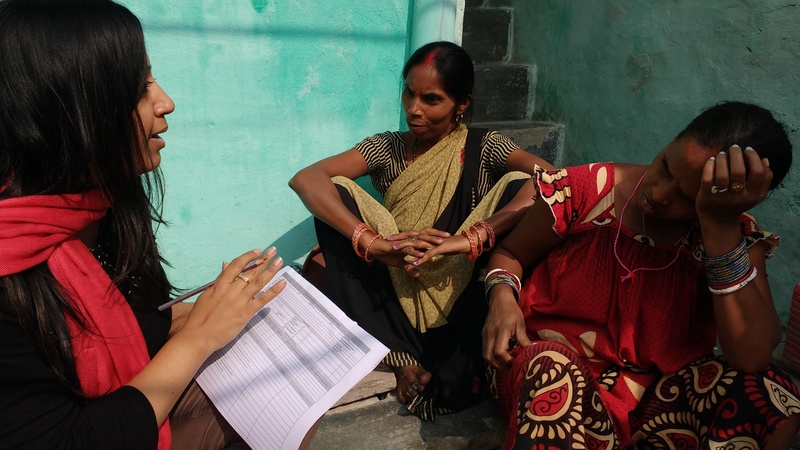 Originally from Ghaziabad, Uttar Pradesh in India, Vinti Singal, one of our Supply Chain Sustainability Specialists, has worked on human resources and social compliance teams for a decade. While consulting with Coca Cola on workplace rights, she gained exposure to the brand side of the story. At the French retailer Gémo-Groupe Eram, Vinti managed factory audits for North India. With this broad perspective – from global CSR to the informal laborer – she wanted to join GoodWeave and help spearhead its pilot program into the readymade garment sector. For Vinti, it goes even deeper. She values the process of unearthing hidden units beyond the borders of the factories. Because in doing so, she knows we can give an identity – and then rights and benefits – to informal workers. And Vinti also recognizes how this benefits the business. She has seen that threatening or penalizing companies isn’t the answer; it’s about encouraging improvement and transparency. When asked about her most memorable day on the job, Vinti recalls visiting a Child Friendly Community in Jaee village where GoodWeave started a literacy class for young women who never had a chance to study. Scanning the room, one woman immediately stood out to her. She was holding a three-week-old baby. Later Vinti found out that her name is Musrekin, this was her eighth child, and she does handwork, beading fashion jewelry for export to big brands in Europe, UK and US.